On November 9th Heartland Hospice presented certificates to Veterans. 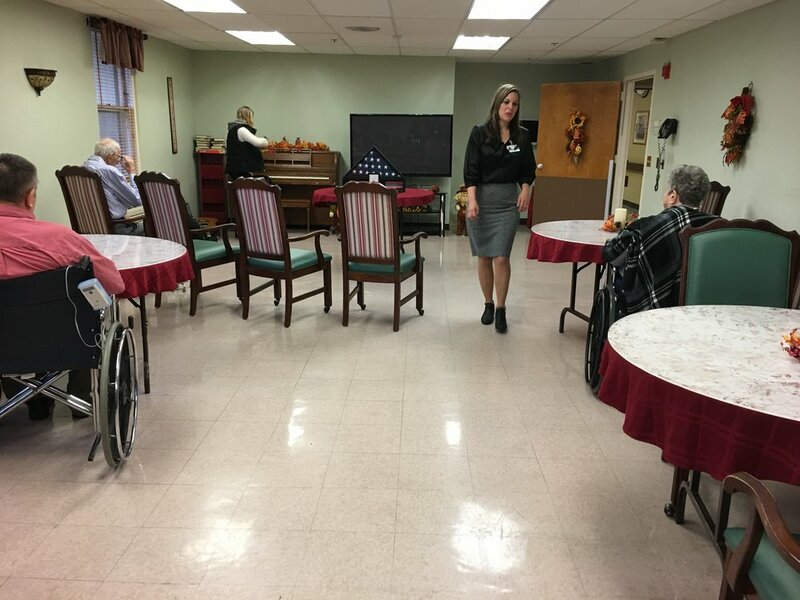 The event took place at Blough nursing home in Bethlehem Pa. This event started out as a larger event but ended up as a very scaled down certificate presentation. Heartland brought along a new musical therapist, we sang a couple of songs that brightened up the occasion. After presenting the certificates cake was distributed to all. After enjoying my piece of cake, my mission was complete.